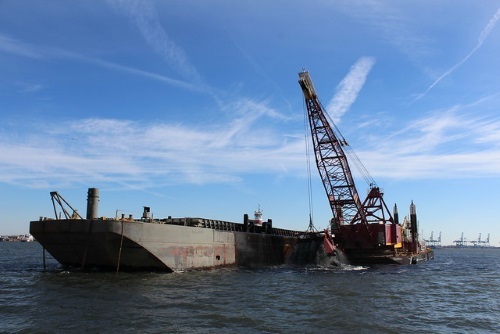 A hearing held by the House Transportation & Infrastructure Subcommittee on Water Resources and Environment on April 10 explored ways to stem what Rep. Peter DeFazio, D-Ore., chair of the House T&I Committee, described as the “misuse” of harbor maintenance taxes. “Because the Harbor Maintenance Trust Fund collects more revenues from shippers than Congress appropriates to maintain our harbors, approximately $9.5 billion in already collected tax revenues sits idle in the Harbor Maintenance Trust Fund,” Rep. DeFazio stressed in his written remarks. “If the rate of tax collections and expenditures continue on their current trend, CBO [the Congressional Budget Office] estimates that the balance of the Harbor Maintenance Trust Fund will reach more than $14 billion within a decade,” he added. While no state departments of transportation testified at this particular hearing, many of them have responsibilities to support inland and coastal ports and have in the past supported more spending from the Harbor Maintenance Trust Fund on water navigation projects and similar endeavors.